Geardrop is a citywide, do-it-yourself scavenger hunt. There are 5 geardrops happening across the United State on the National Day of Adventure (NDOA), which is October 14, 2016. Geardrop is sponsored by GearJunkie LLC and Victorinox Swiss Army. Two separate types of geardrops will occur on NDOA — the NYC geardrop and the city geardrops. There will also be a national grand prize raffle available to everyone in the United States, so everyone has a chance to win prizes. For the New York City Geardrop, 50 medallions will be hidden throughout Manhattan. Participants will use a map and clues to find the medallions. If a person finds a medallion, they win the prize associated to that medallion. They will claim their prize at the Victorinox Swiss Army store in Rockefeller Center. They can also enter the raffle to have chances to win additional prizes. Friday October 14, 2016. The event begins at 12:00 p.m. EDT and runs for seven hours until 7:00pm. The Victorinox Swiss Army store in Rockefeller Center; 620 5th Ave, New York, NY 10020. The medallions are 2.5-inch wooden circles with the NDOA, GearJunkie, and Victorinox Swiss Army logos on them as well as a unique 5-digit code. Visit the store. Participants will need to visit the store in order to collect the geardrop map. Maps will be distributed between 12:00 p.m. - 7:00 p.m. EST. Use the map and clues to try to find one of the medallions. Each medallion is associated to a certain prize. All 50 medallion locations and their corresponding prizes will be listed on the map. There will be varying levels of difficulty and some medallions will be harder to find than others. The harder they are to find the more expensive the prize associated to them will be. When a medallion is found the participant needs to let the event staff know they have found a medallion. They can do this on the website by entering the 5-digit code found on top of the medallion. By doing this it alerts the other participants, via the website, that that medallion has been claimed. One (1) medallion and prize can be claimed per participant. Prizes must be claimed at the Victorinox Swiss Army store in Rockefeller Center 620 5th Ave, New York, NY 10020. The participant must visit the store and show the event staff or a Victorinox Swiss Army employee their medallion. They will award the participant with the corresponding prize and take their photo with the prize. Prizes must be claimed by 10/14/2016 at 9:00 p.m. EST. One (1) medallion and prize can be claimed per participant. The geardrop raffle is separate from the medallion scavenger hunt and is another way for participants to earn prizes. 10 Victorinox Swiss Army prizes will be awarded to random raffle winners. There are two (2) ways to enter the geardrop raffle. Share a photo(s) on social media using #geardrop. 1 photo shared = 1 raffle entry. Participants can share an unlimited number of photos to gain unlimited raffle entries. Visit the store and complete the Swiss Army Knife Challenge. Challenge completion = 5 raffle entries. The challenge consists of using and identifying different tools on a Swiss Army Knife. The participant’s name and email will be collected at the store as a way to contact them if they win. The store is located at Victorinox Swiss Army 620 5th Ave, New York, NY 10020. All eligible entries in this raffle received by the sponsors between 12:00 p.m. and 7:00 p.m. EST on October 14, 2016 shall constitute the pool for the raffle. For each of the ten (10) raffle prizes, the sponsors will randomly select one (1) winner from among the pool of eligible entries. The raffle winners will be contacted on Saturday, October 15, 2016 notifying them that the event staff randomly chose them. Event staff will contact the winners 1) via the social media account they used to submit their photo(s) or 2) via the email they submitted when completing the Swiss Army Knife Challenge. Event staff will attempt to contact the winners two (2) times between October 15, 2016 – October 22, 2016. If the winner fails to respond, refuses, or is ineligible, the prize will not be awarded. 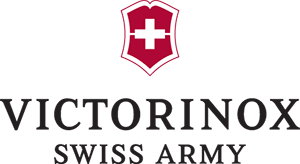 If a participant is notified that they won a raffle prize they must visit the Victorinox Swiss Army store on or before October 22, 2016 to claim that prize. Upon arrival they need to notify the Victorinox Swiss Army employee that they are a geardrop raffle winner. They will given their prize and the employee will take their photo. For the city geardrops, a single medallion will be hidden in four (4) cities across the US. Clues will be released on the website every 20 minutes starting at 2:00 p.m. until the medallion is found. When a participant finds a medallion, they win the grand prize for that city. They claim their prize at the Victorinox Swiss Army store in their city. They can also enter the raffle to have additional chances to win prizes. Since the scavenger hunt is online it doesn’t have a starting point. Visit the website at 2:00 p.m., and click on the city in which you wish to participate. Clues will be released every 20 minutes; they will start off vague and get more precise. Clues will be released until someone finds the medallion. When a medallion is found the participant needs to let the event staff know they have found a medallion. They can do this on each city page on the website by entering the 5-digit code found on the medallion. By doing this it alerts the other participants, via the website, that that medallion has been claimed. The grand prize adventure package in each city consists of the following and is valued at $1024.99. Five (5) raffle prizes are also available to participants. They will vary by city and will be valued between $20 - $75. Prizes must be claimed at the Victorinox Swiss Army store in each city. The participant must visit the store and show the event staff or a Victorinox Swiss Army employee their medallion. They will then award the participant with the prize and take their photo with the prize. The Grand Prizes must be claimed by 10/16/2016. The geardrop raffle is separate from the medallion scavenger hunt and is another way for participants to earn prizes. Five (5) Victorinox Swiss Army prizes will be awarded to random raffle winners. 1 photo shared = 1 raffle entry. Participants can share an unlimited number of photos to gain an unlimited raffle entries. Visit the store and complete the Swiss Army Knife Challenge. Challenge completion = 5 raffle entries. The challenge consists of using and identifying different tools on a Swiss Army Knife. The participant’s name and email will be collected at the store as a way to contact them if they win. All eligible entries in this raffle received by the sponsors between 2:00 p.m. and 6:00 p.m. in the city’s respective time zone on Oct 14, 2016 shall constitute the pool for the raffle. For each of the five (5) raffle prizes, the sponsors will randomly select one winner from among the pool of eligible entries. Event staff will contact the winners 1) via the social media account they used to submit their photo(s) or 2) via the email they entered when completing the Swiss Army Knife Challenge. If a participant is notified that they won a raffle prize they must visit the store in their city on or before October 22, 2016 to claim that prize. Upon arrival they need to notify the Victorinox Swiss Army employee that they are a geardrop raffle winner. They will given their prize and the employee will take their photo. There is one (1) way to enter the geardrop raffle. To enter the national grand prize raffle participants must visit the website, then submit their email and a comment telling what they plan to do for NDOA. All eligible entries in this raffle received by sponsor between 12:00 p.m. Sept 21, 2016 and 11:59: p.m. CST on Oct 14, 2016 shall constitute the pool for the grand prize raffle. One (1) winner will be randomly selected from among the pool of eligible entries. The raffle winner will be contacted on Saturday, October 15, 2016 notifying them that the event staff randomly chose them. Event staff will contact the winners via the email they entered when signing up for the raffle. Event staff will attempt to contact the winners two (2) times between October 15, 2016 – October 31, 2016. If the winner fails to respond, refuses, or is ineligible, the prize will not be awarded. If a participant is notified that they won the national grand prize raffle prize they must provide their shipping information and the prize package will be mailed to them. Anyone can participate, and we’re encouraging families to get outdoors with kids. But for legal and tax reasons, to redeem grand prizes or raffle prizes, participants must be 18 years of age or older and a citizen of the United States. A family can do the scavenger hunt together but only the eligible adults in the family are allowed to win prizes, kids cannot redeem medallions. All sponsor staff are not eligible to participate in geardrop. Sponsor staff family members and friends are eligible to participate. Participants retain all rights to any photo he/she submits on social media. By submitting a photo, all entrants consent to and grant non-exclusive license to Monopoint Media, GearJunkie.com, Victorinox Swiss Army, and the Contest Sponsors, without further notification, compensation or attribution to the Entrant or any other party, to use, reproduce, modify, create derivative works from, print, publish, post, transmit, distribute, perform, adapt, enhance, and display, and otherwise make use of and distribute the photos. We encourage participants to take photographs of their experiences and upload them to social media. Monopoint Media, GearJunkie.com, Victorinox Swiss Army, and the Contest Sponsors, may use these photographs in future publications or other materials, including social media using #geardrop and #NDOA. All applicable federal, state, provincial, local, and other taxes on prizes and any other costs and expenses associated with prize acceptance and use not specified herein as being provided, are the sole responsibility of the applicable winner.